3rd single Hito wa Naze Hashiru no ka? She reminds me of Suuchan, which is a plus. She loves tomato, which is another plus. 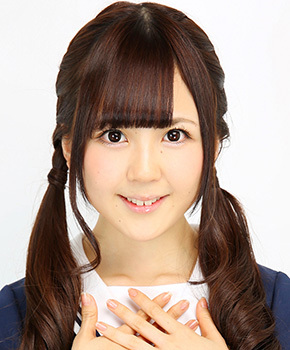 Waiting/Hoping for her to finally make senbatsu one day and I will wait to see what else can she bring. Her face is painfully adorable, like a puppy or a hamster or some similarly small, round, cute animal. It's her eyes+her lips, the combination of huge round eyes and small heart-shaped lips is just too much. In a good way. I don't get the tomato thing though, those things are gross unless cooked into something. if drinking only then for me it's ok.. unlike what happened to sayuri.. we really don't know what happened inside the bar maybe she just went there to accompany friend/s and ordered maybe a non-alcoholic drinks. my 2 cents only. That's what I thought. Since the board wrote "Cafe & dining bar", she could drink some non-alcoholic drinks, coffee perhaps? There's not enough evidence about this, I think Shukan Bunshun need to took this ill-founded statement down for good. ^ let's wait for the details maybe shukan bunshun will publish an article more detailed than this pic itself. 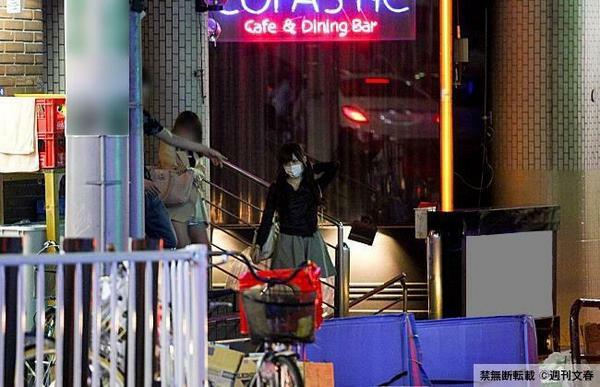 but... if none then this is a very weak evidence..
imo if there any celebrity male come out from that bar too, SB will say that she have goukon even though they dont have any evidence at all, just like acchan n yuko case back then. but since there is no other male celebrity come out from there, so they just stick to "underage drinking". This is dirt? !, seriously, the nail in the coffin here would have been to ask the people there what she ordered and they've got something here, unless SB can prove it otherwise then this is a joke, even families with kids sometimes go into places like this. I was going to say that "dirt" in another sense of the word is an apt description but actually Shukan Bunshun is lower than dirt. Regardless of its merit, it might be for the best that this "story" came out right now, seeing as how everyone is focused on another girl who did something actually worthy of concern. In fact, even without that distraction, I can't imagine anyone sane being bothered by a girl just two months short of 20 years old getting a head start. Can't be mad at the girl, I love to get my drink drink on too. This actually makes me like her more and yes the timing's quite good since there isn't much of a fuss over this thanks to that other thing. Nogizaka46's Yamato Rina (19) caught hugging Neva Give Up's Okada Takato (20). Even a kiss, she is not a child anymore. She should be allowed to behave like a normal girl her age. But she is an "Idol" and doing "that" cause problems. What kind of Idol group Nogizaka will be if they can freely go kissing and hugging guys in public? Looks like she is gone. I just hope it's was her choice.